If any of you watched just one episode of well..anything on Cartoon Network you should have caught a commercial for the new batman animated collaboration that just came out. A quick look of the obviously amazing animation lets you know its indeed anime. Similar to the Animatrix, this is a 6 episode mixture of a couple Japanese anime studios including my favorite studio responsible for Death Note, Final Fantasy VII: Last Order and The Boondocks, Madhouse. Other studios involved with this project include Production I.G. and Studio 4C being directed by greats such as Shojiro Nishimi, Futoshi Higashide, Hiroshi Morioka, Yasuhiro Aoki, and Toshiyuki Kubooka. 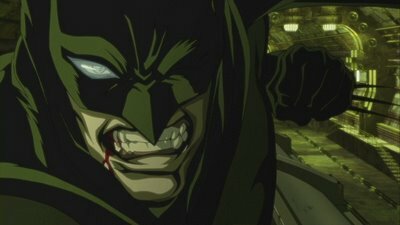 Of course leave it to Japan to animate Batman into something of awe (finally). There is a contest currently going on at the official site here where you can win by discovering all 6 exclusive videos.